This is your chance to support the stellar work of AGCMO contractors! Your sponsorship and support of the Keystone Awards and Specialty Contractor of the Year (SCOTY) Awards helps to continue rewarding and highlighting the excellent work of our members. Now is also a good time to MARK YOUR CALENDAR – the Construction Awards Gala is Thurs., Nov. 7th; at Ameristar Casino Resort & Spa. Registration begins at 5:30 PM and dinner at 6:30 PM. Most of the sponsorship levels also offer complimentary reservations to the gala! Keystone Award winners, finalists and Specialty Contractor of the Year division winners will be featured in a specially designed publication recapping the awards event. This publication will be distributed to all members of the AGC of Missouri, construction consumers, business community decision makers, government officials and a comprehensive list of national companies and site development professionals who are considering the Missouri region for business opportunities. ALL SPONSORS WILL HAVE THEIR LOGO INCLUDED IN THE PUBLICATION. bar with your logo (displayed with AGCMO)! CUSTOM-THEMED DESSERT SPONSOR PACKAGE: $3,500 SOLD! 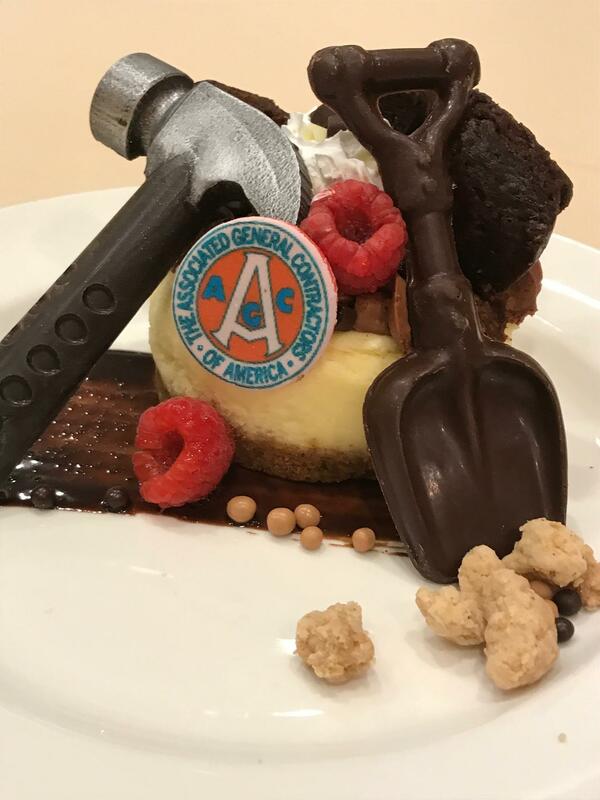 Your edible logo prominently displayed with AGCMO, placing it in front of every attendee at the gala (approx. attendance is 450)! Facebook, Twitter and Instagram will light up with dessert photos – and your logo! *Keystone Award winners, finalists and Specialty Contractor of the Year division winners will be featured in a specially designed publication recapping the awards event. This publication will be distributed to all members of the AGC of Missouri, construction consumers, business community decision makers, government officials and a comprehensive list of national companies and site development professionals who are considering Missouri for business opportunities.